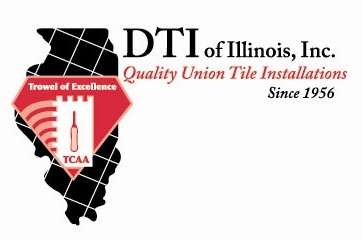 DTI of Illinois, Inc. has been providing quality union tile installation throughout the Chicagoland area and surrounding suburbs since 1956. We specialize in the installation of ceramic, quarry, stone and detectable warning pavers in commercial applications. Focused on pleasing our customers as well as creating and maintaining long-term customer relationships, DTI’s lifetime dedication to the construction industry has given us solid experience to take your idea from concept to completion. DTI of Illinois, Inc. is dedicated to providing every client with the best customer service and the highest level of professionalism. We take the time to insure quality and aesthetic value through every step of the process. We strive to deliver honest, dependable and no-hassle service to all our clients. Our specialists have the knowledge and practical experience to help you select just the right floor to suit your needs and our craftsmen have over 30 years experience installing quality flooring. As President of DTI, Brian D. Castro worked in this family owned business since his teenage years and has over 20 years in the tile installation industry. He earned a BSBA from Oklahoma State University in 1982 with a major in Finance. At various times in his career, Brian has served as Vice President, and Secretary-Treasurer for the Ceramic Tile Contractors’ Association of Chicago, Inc. of which DTI of Illinois, Inc. has been a member for over 30 years. He also serves as a trustee for the Chicago Tile Institute Welfare and Pension Funds. Our management team has actively managed jobs throughout the Chicago area, including but not limited to Boeing Corporation World Headquarters, AT&T Building, Museum of Science and Industry, Harold Washington Library, Soldier Field, Dominick’s Finer Foods, Mexican Fine Arts Center Museum, Lutheran General Hospital, Elmhurst Hospital, Northwestern Community Hospital, Palmer House Hotel, Hilton Tower Suites, Radisson Tower Suites, Weil Cadillac & Hummer, 30 W. Oak, Local 150 Apprenticeship Training Facility, University of Chicago and Illinois Benedictine University. In 1988, DTI of Illinois, Inc. was named Hispanic Contractor of Year by HACIA (Hispanic-American Construction Industry Association) for its work on the AT&T Building. DTI of Illinois, Inc. has been a member of HACIA for over twenty years and is a certified Minority Business Enterprise. DTI of Illinois, Inc. is also a member of the ASA of Chicago.